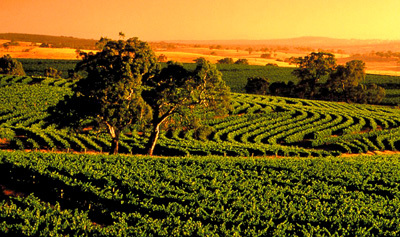 The Barn Accommodation offers the newest and most stylish accommodation in the region. Brand new King and Spa Suites and Garden View rooms are a perfect blend of elegance, luxury and comfort. 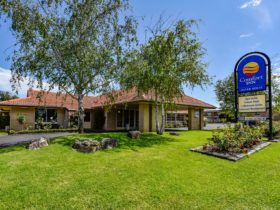 The Barn is nestled amongst five acres of lush, landscaped gardens, near Mount Gambier in the fertile Limestone Coast region of South Australia, mid-way between Melbourne and Adelaide. Dine at the Barn Steakhouse where the finest local grain-fed beef is aged on the premises and cooked to perfection for you over mallee coals. 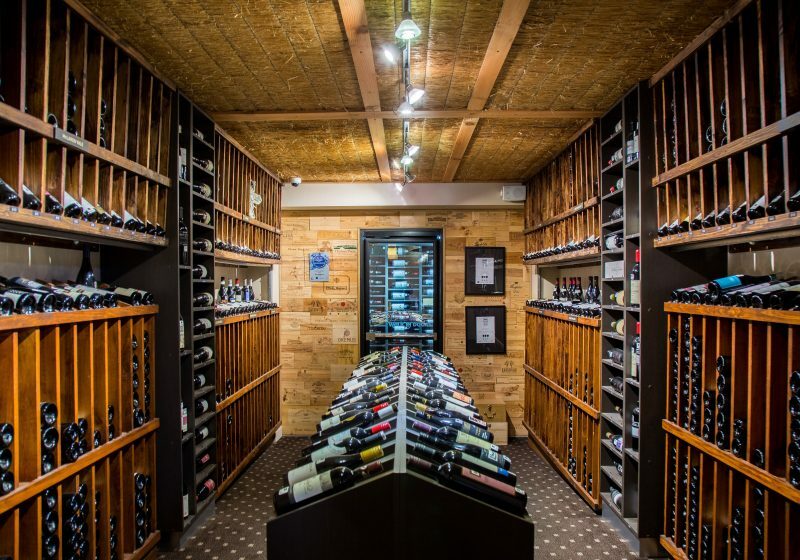 The Steakhouse boasts a nationally recognised wine list featuring over 400 selections, specialising in the great wines of Coonawarra and the Limestone Coast. This spacious self-contained apartment features two large bedrooms, spacious lounge/dining area, bathroom with separate bath and shower, kitchenette and balcony area, perfect for an afternoon read. A sofa bed is also available in the lounge room for larger groups. In a quiet location just 350 metres from The Barn on Childs Road, the Farmhouse is a recently rebuilt four bedroom house. 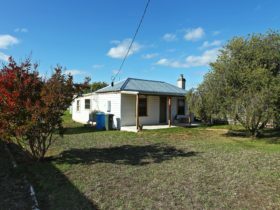 The house includes two bathrooms, modern fully equipped kitchen, laundry as well as separate lounge and dining areas. Each bedroom boasts a queen bed and extensive built in robes. 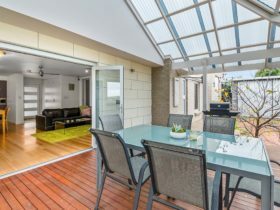 Free Wi-Fi is included and the house offers ducted reverse cycle air conditioning. Maximum occupancy eight persons. Large 43 metre square suites that are spacious and stylishly appointed. Open plan suites with plush king bed, lounge, large desk and superbly appointed Caesar stone bathroom. Available with two person spa bath. This large, modern and tastefully furnished open plan home features four bedrooms, two bathrooms, laundry, modern kitchen and large dining and lounge rooms. The master bedroom boasts fully renovated ensuite with large robes. 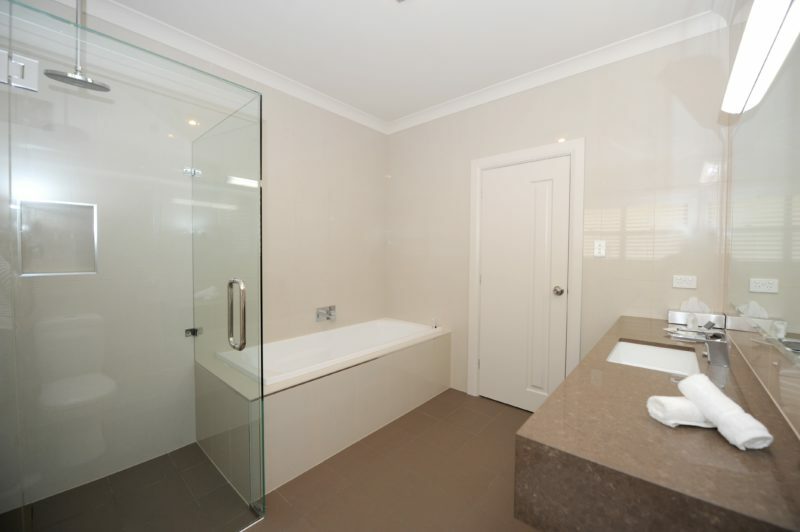 The second bathroom is also fully refurbished and includes a bath. Will sleep up to 10 people. Stylishly appointed open plan suite with queen bed and single pillow top bed. 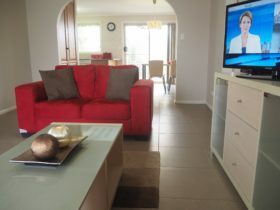 Suites feature 42 inch LCD television with Austar, iPod docks, internet access and French doors onto private verandas. 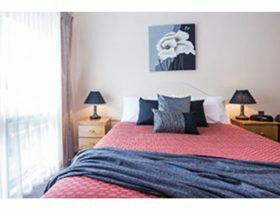 The Spa apartments offer generously proportioned rooms and a separate lounge and kitchen area. A large two person spa ensures that it is the perfect place to unwind. Our Spa Apartments contain one queen size bed, with the option of a sofa bed in the lounge/living area. 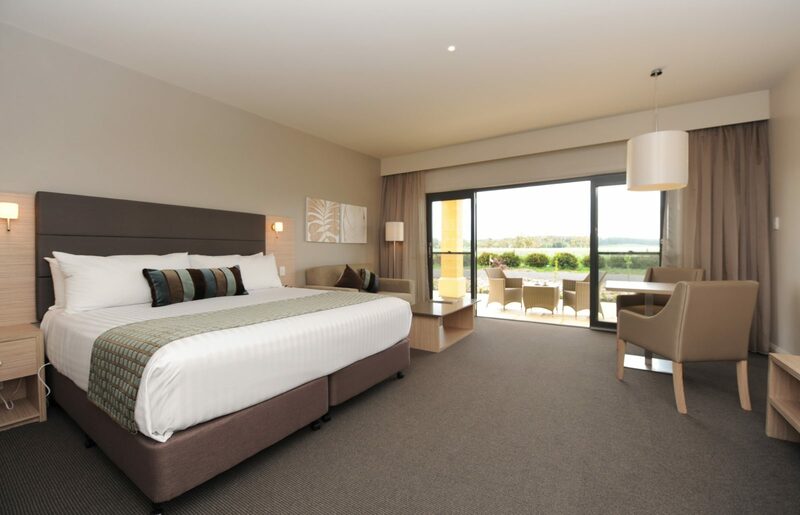 These newly renovated standard rooms feature pillow top queen beds, high definition LCD televisions, WIFI access, Austar and Caesar Stone bathrooms. These brand new rooms offer the ultimate Barn experience. These open plan suites are 43 to 48 square metres and feature superb Sealy Dynasty plush King beds, 46 inch LED televisions, Wi-Fi access, lounge with stone coffee table and room safes. The large Caesar stone bathrooms feature frameless shower screens, Mythven Italian tap ware and bath or corner spa.